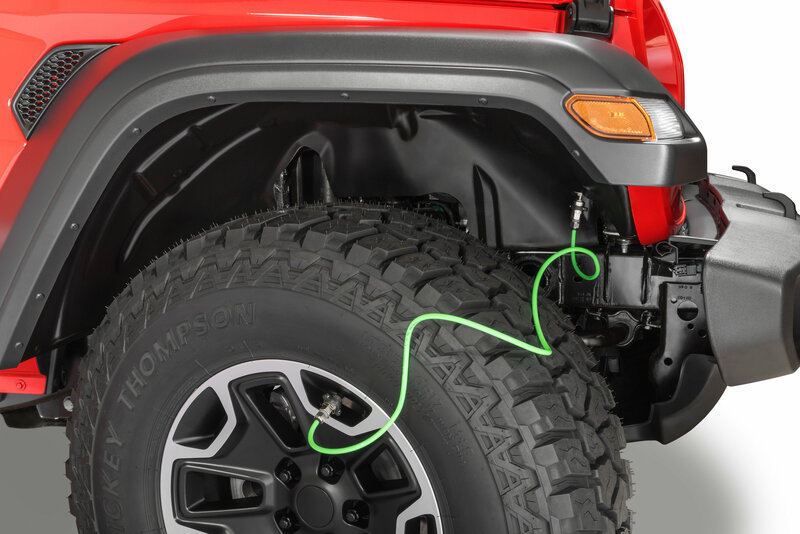 Now Jeep Wrangler JL owners can easily switch between proper on and off road tire pressures with the Air It Up Air Delivery System from Up Down Air. 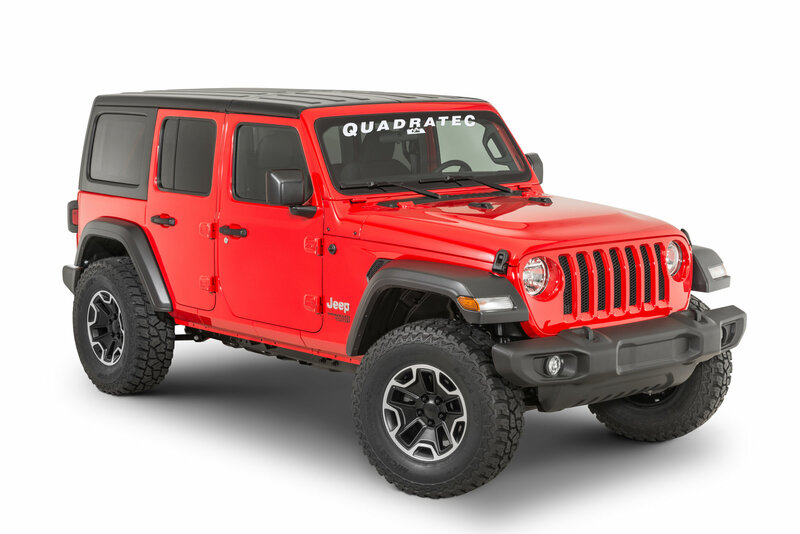 This system has been specifically designed for the Wrangler JL to connect to all four tires, allowing for airing up or down all at the same time! The unique controller bracket for this system installs easily to the Jeep in the engine bay without drilling or modifications. The controller is built with an easy to read pressure gauge, adjustable pressure regulator, safety blow off valve and the air it up airport. The bright green whips install into the wheel wells, which gives easy access to the tire valve stems for quick and simple installation. Included with this system is the ARB Twin air compressor and mounting bracket that will install in the rear of the vehicle to provide air for the system. This complete Air It UP system includes all of the necessary wiring, hardware, brackets, and components for an easy no hassle installation. Push Button Control: Air up or Air down all four tires at the same time on the Wrangler JL with the push of a button. Keeping proper tire pressure has never been easier! 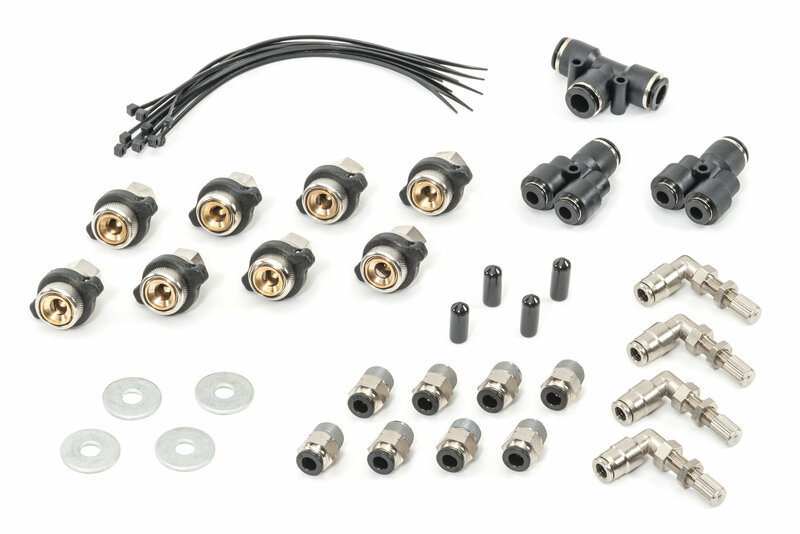 Complete System: The Air Delivery System includes all of the necessary components for installation. The included ARB compressor makes this the most complete system available. 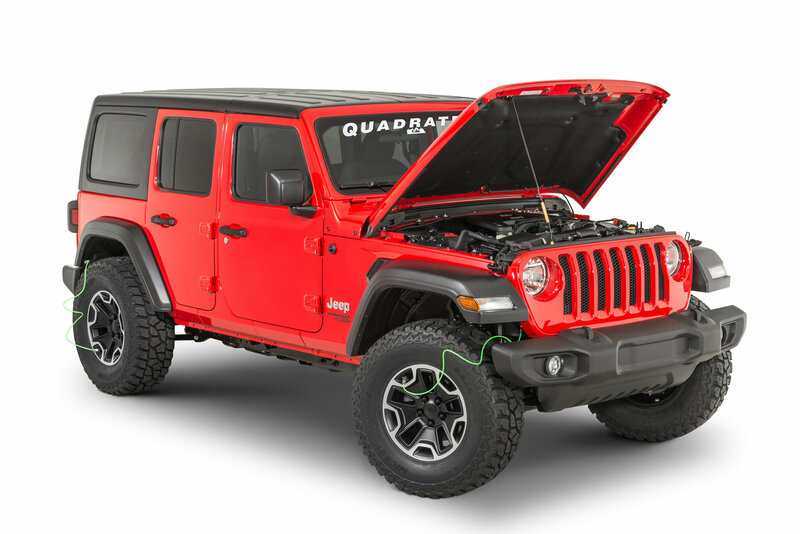 ARB Twin Air Compressor: The included ARB Twin compressor installs easily in the engine bay of the Wrangler JL with the included mounting bracket. This compressor features a 100% duty cycle compressor that features twin compressors that will exceed airing needs. This compressor can handle airing up all four tires quickly and efficiently. The high efficiency design consumes only 56 Amps at maximum air flow.